Thanks for visiting Fire-Break Pizza !!! Who We Are & What We Do!! 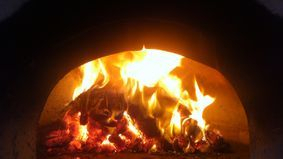 We are a Mobile Woodfired pizza Catering business In Sydney & Surrounding Areas, From Sydney - Blue Mountians & Wollongong - Central Coast. We Will Make Your Guests Rave About Us & Your Party Will Be A Success. Guest Will Love To Come Up & See How It Works. They Will Want To Get Their Hands Dirty & Make Their Pizza For Fun! We Are Perfect For Any pizza Party, Large Or Small, Corporate Functions, Birthday's, Bucks & Hens Nights, Weddings, Fundraisers & Sporting Events. So Let Us Do The Work, With No Mess & No Fuss, Just Good Old Woodfire Pizza catering! Have a look at fire-break packages and contact us! !